Australia is full of high energy this time of year with a lot happening in the country, especially in the coastal capital of Melbourne. First off, the past few weeks has seen residents and visitors alike take to the blue courts where some of the world’s greatest athletes have assembled. Then just last week, another big event added more bustle to the city with the Aussie Millions, the country’s most anticipated poker event of the year making landfall. Every year since its inception, this prestigious poker event has seen consistent growth in attendance with avid players of all levels – professional, aspiring pro, recreational, amateur, you name it – joining the annual pilgrimage to the venue at Crown Casino Melbourne. The festival doors opened on January 17 and is slated to run for 20 days concluding on February 5. Three events have already completed with first time career winners taking charge. Have a read below on those early results. The Aussie Millions got underway with the A$1,150 No Limit Hold’em Opening Event bringing in a tremendous 1,538 entries. Although this was slightly less than last year’s attendance, it was still a very fine start. The A$1M advertised guarantee was easily crushed, usurped by an even richer A$1,576,450 (US$1,254,466) prize pool. Out of the 153 players in the money, there were a sizable number of pros making the list such as Jonathan Karamalikis and Dominykas Karmazinas however it was Melbourn’e’s very own Michael Addamo who went the farthest, reaching the final table just as he did in 2017. Favored to win, he finished in 2nd place which was one spot better than last year’s performance. Winning the event was Austrian Benedikt Eberle. Not much is known of Eberle other than this was his first-ever career victory. He earned A$315,295 making this his third live tournament score and largest payout to date. Alike the opening event results, the A$2,500 H.O.R.S.E. event also crowned a first-time champion, Melbourne’s poker aficionado Salvatore Ribbera. Ribbera has been playing poker for many years with stats dating back to 2006 however he had yet to land a major event career title. Well, all those years on the felt have finally paid off. Ribbera bested the 49-player field of the Aussie Millions HORSE event, even outlasting a couple of high-ranking pros at the final table, Australia’s Jarred Graham (4th) and England’s Richard Ashby (5th). He reined in the A$39,700 (US$31,662) first prize and bagged a trophy to kickstart his awards shelf. This victory was also his biggest score to date. Another high-ranking pro nearly ran away with a title, this time at the No Limit Hold’em Shot Clock Shootout event with Austria’s #1 ranked player Thomas Muhlocker finishing in 2nd place. Alike Addamo on the opening event, Muhlocker was stopped by a player chasing a first-ever career title. New Zealand’s Jason Brown was the last man standing out of the 192 players of the shootout. He earned the lion’s share A$49,200 first prize of the A$196,800 prize pool. It is also worth adding that from the list of 21 players in the money, there were a few Asian players in the top 10 including Yang Zhang, one of China’s hing-ranked pros. There are plenty more events to look forward to at the Aussie Millions with a total of 26 in the roster. Of course the A$10,600 Main Event is what everyone will be flocking in for but other events are also expected to churn out big numbers such as the Multi-day Accumulate Event, the Two-Day Terminator event, and the Aussie Millions Tournament of Champions. 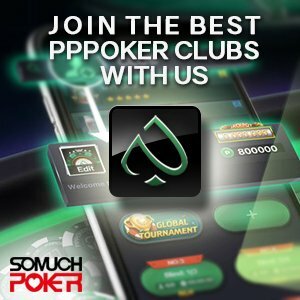 For the more exclusive bunch that prefer games with much higher stakes, there are three events that can satisfy that urge: the A$25,000 Challenge, the A$50,000 Challenge, and the A$100,000 Challenge. Expect some of the world’s biggest names in poker to be in attendance.